In the year that President Donald Trump has been in office, the federal government has seen a record number of staffers being replaced. And one such former staffer is speaking out about the chaos in Trump’s administration. On March 1st, Anthony Scaramucci, the former White House communications director, said in an interview that “morale is terrible” in the White House. Scaramucci claimed on CNN’s New Day that Chief of Staff John Kelly had instilled a “culture of fear” as a leader in the West Wing. He also seemed to express the belief that Kelly’s military background was the cause of his reported intimidation tactics. "The morale is terrible. The reason why the morale is terrible is that the rule by fear and intimidation does not work in a civilian environment," Scaramucci told host Chris Cuomo. In the same interview, Scaramucci lamented the departure of Hope Hicks, another one of Trump’s communications directors. He described Hicks as a “wonderful person” and said that she would be difficult to replace. On February 28th, Scaramucci had also wished Hicks well in a tweet. Hope Hicks is a world class person and is going to go on to have an unbelievable career. She did an incredible job. The best is yet to come. 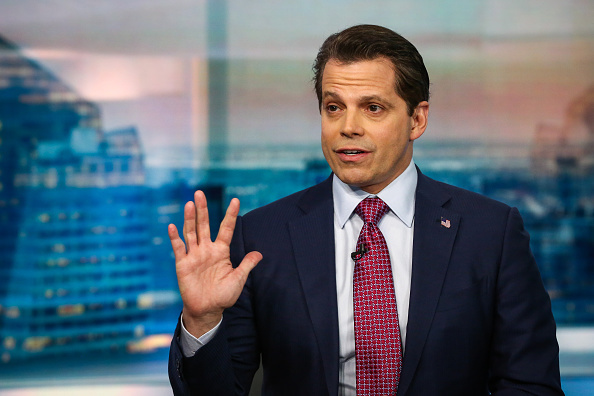 In a separate interview with Bloomberg, Scaramucci demanded Kelly’s resignation, saying that the former general would drive away other White House staffers. Scaramucci’s 10-day White House career was itself seen as a sign of chaos. The former communications director made headlines less than a week into the job when he called a reporter for the New Yorker and went on an obscenity-laced tirade against then-Chief of Staff Reince Priebus and then-Chief Strategist Steve Bannon. On Kelly’s first day in office, Scaramucci was removed from his post. Even setting aside Scaramucci’s firing and Kelly’s reported intimidation, the Trump administration has faced countless scandals. In little more than a year, 18 top-tier staffers have resigned or been fired. There’s an ongoing investigation to determine whether or not Russians colluded with the Trump campaign to influence the 2016 election. Members of the administration routinely leak stories to the press. And, to top it all off, in January, the book Fire and Fury: Inside the Trump White House depicted Trump as completely inept. So even before Scaramucci claimed that morale in the Trump administration was low, we kind of figured. We don’t know if Scaramucci is right about Kelly, but we do know that our government has had a tumultuous year. We’ll be keeping our eyes out for any further changes in the West Wing.